The Albuquerque Isotopes transformed into the Mariachis de Nuevo México for four games as part of Minor League Baseball's initiative celebrating Hispanic heritage and culture. Over those four dates, a total of 55,235 fans packed Isotopes Park, an average of 13,809 fans per game. The Mariachis were one of 33 teams across Minor League Baseball to compete for the "Copa de la Diversión" or "Fun Cup." The season-long "Copa" series was specifically designed to embrace the culture and values that resonate most with participating teams' local Hispanic and Latino communities. The first Mariachis de Nuevo México game was a record-breaking evening at Isotopes Park on Cinco de Mayo. 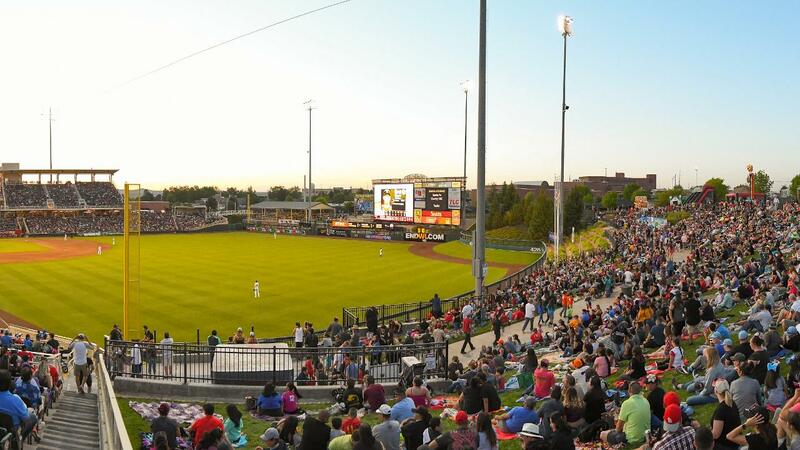 The 16,975 fans to attend the game was the largest single-game crowd in Isotopes history, surpassing the previous record of 16,348 set on July 4, 2014. The second Mariachis night was a Taco Tuesday affair at "the Plaza" on June 26 featuring $5 taco specials throughout the ballpark. A total of 12,551 fans packed the corner of Avenida Cesar Chavez and University. Mariachi "cerveza steins" proved to be a popular giveaway item on July 20, the third Copa game of the season. Isotopes Park saw 12,156 fans come through the gates to take in Mariachis baseball action. For the final Mariachis game of the season, fans were lined up before 2:00 pm for a 6:05 pm game time to secure their Mariachis bobblehead/arm. The 13,553 fans to attend the game was the largest Sunday crowd of the season and the third-most attended game of the year.